Every time a website is created, the brand owner or webmaster must make a careful preliminary decision: what type of platform will be used to create it? 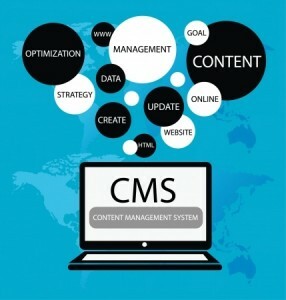 While some decide to code their own websites from the ground-up, the vast majority of people decide to use a content management system these days. While that may sound complex, a content management system (or CMS) is simply the name for platforms such as WordPress, Joomla, Drupal and many more. CMS solutions provide flexibility and compatibility for a wide variety of features and tools that would otherwise be difficult to produce on their own. Not all CMS elements are perfect, and some may even cause problems for those engaged with SEO. Below, we’ll discuss some important factors to keep in mind when using CMS and its effects on SEO. Search engines are very critical of URL structures these days when pinging for SEO indicators, as it can find a lot of information about the page or content from how it is constructed. While penalties for URL structure are quite rare, a URL structure can provide an added boost to content ranking when optimized properly. The issue is that many CMS solutions do not optimize this structure by default. In order to get the most out of your URL structure, you’ll want to be sure that a few good elements are incorporated. For instance, removing conjunctions and prepositions from the structure is ideal. Next, the use of hyphens to separate words is definitely recommended. Finally, abandoning any default structure that only uses dates or random characters is absolutely required – otherwise, search engines won’t be able to connect the dots between the URLs and the content, resulting in fewer SEO benefits overall. In many CMS platforms, there is an automatic generation of title and description tags for all of your content. While this can be convenient in some cases, the need for customization is an important factor. Being able to customize these elements allows you to more effectively target keywords and relevant audiences; most CMS platforms allow this, but it’s important to remember that it has to be done. The use and customization of tags plays a huge role in how effective your overall on-page SEO strategies can be, so be sure to take advantage of this (and not simply use the default solutions). Some CMS platforms actually change the content and structure of the URL whenever you make changes to on-page elements. Common on-page elements that need to be changed from time to time include the title and tag, font size options using <H#></H#>, and so forth. Be sure to read through the CMS notes to determine whether or not this will be an issue for your website, as CMS solutions that automatically change link structure every time you make a change to on-page SEO elements are certainly an unwelcome concept. Pinging for SEO via the use of content management systems is highly effective, but only when you are aware of potential hurdles. On-page optimization in some cases can wreak havoc on URL structure and tag attributes, so be aware of how every potential CMS you’re considering operates in these areas before committing to a particular solution.